Don Samuel Saw First-Hand How The Home Improvement Industry In Denver Really Worked. When He Decided He Could Do Better, Prestige Products Was Born. Larger companies that charged too much because they had too much overhead. Installation nightmares, especially in large companies. The larger the company, the less control they had over all of their installation crews. Small companies were often even worse. Although he didn’t work for them, he heard homeowners tell him about missed appointments and poor-quality work. Don decided that if he wanted to both treat people fairly and make a good living for his family, it wasn’t going to happen working for someone else. So in 1993, Prestige Products was born from the conviction that home improvement did not have to be a choice between huge companies with high prices & low accountability or a small companies that didn’t deliver good results. Prestige Products would be different: fair prices combined with best quality and personal service. One commitment Don made was to only sell top-quality products. He knew that anything less leads to problems for both the company and its customers down the road. The other fundamental commitment was to hire and retain a few key installers that were the very best in their profession. Today, we have several great installers, one just for windows, two or three for siding, one for gutters and one for garage doors. We have decade-long relationships with each. The happy ending to this story? It worked. Prestige Products is a successful business because homeowners love a company that does what it promises at a fair price. 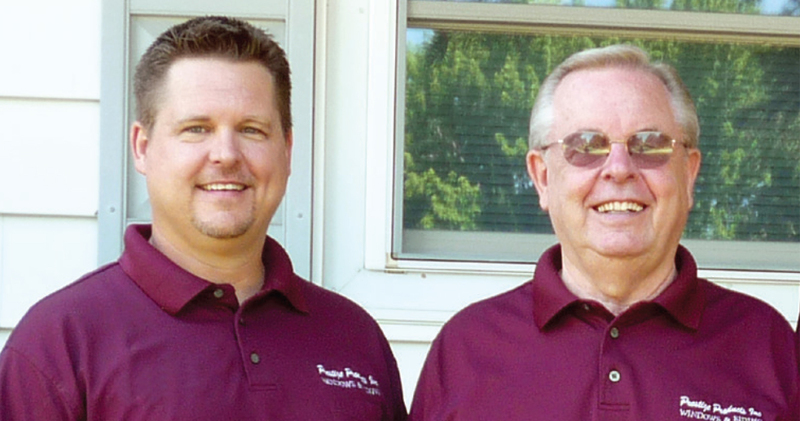 In 1999, Dustin, Don's older son, came on board having worked several previous summers part-time. Dustin works in sales and handles the graphic design, marketing materials, web design, and database management for the company. When you first meet with Prestige Products, it will be with Don or Dustin. In other words, you are meeting with an owner and family member who has a vested interest in the overall success of the company. Like the idea of doing business with a family-run business that operates with integrity? That’s us – give us a call and we’d be honored to give you a quote.